Does anyone know if Medalist has a dress code? So, just a reminder that silly season golf is here. 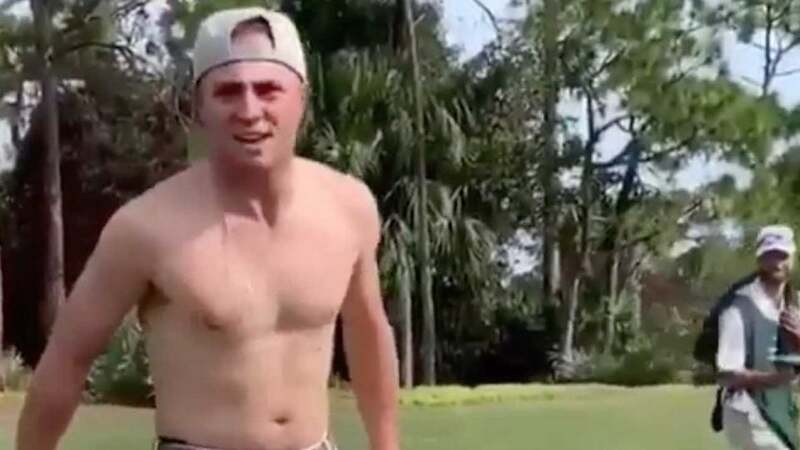 The PGA Tour is off this week, but Justin Thomas played a practice round Friday at Medalist GC in Jupiter, Fla. And via his Instagram, it's clear at one point he put himself in a tough spot: a muddy lie below the green. Unplayable lie? For you and me, absolutely. But JT peeled off his shirt and pulled off the shot. He punctuated it by taunting the camera with, "You like that?" https://www.instagram.com/p/BrY1QJ4lwAf/?utm_source=ig_web_copy_link Yep, it was a good shot. But what we'd like to know is this: what were the stakes in this game that prevented Thomas from taking a penalty drop outside the swamp? Something tells me a skin was on the line, am I right? That terrible pun means it's time to wrap this up. We now return to your regularly scheduled silly season golf.